Have you ever hiked through the night enjoying millions of stars above you? City lights of capitals can be very charming, but have you ever experienced those lights watching them from above? 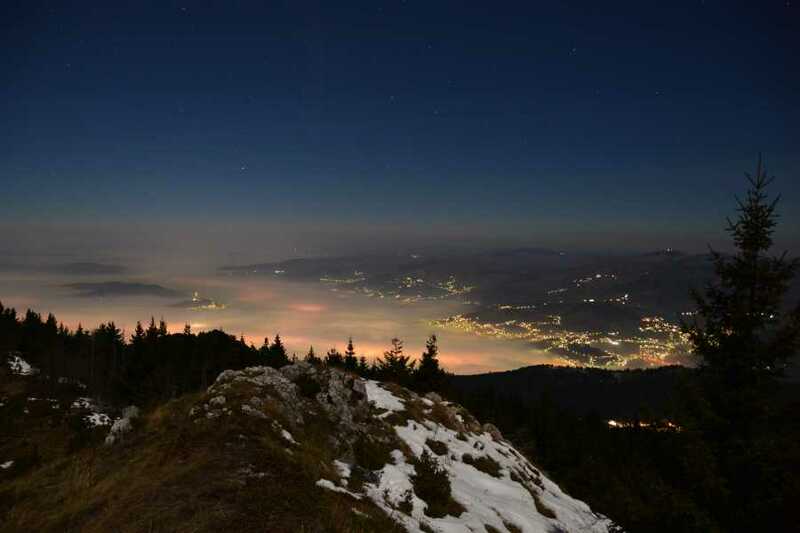 Sometimes after a full Sarajevo Discovery day, the perfect solution to unwind is a night hike through forests at one of Sarajevo vicinity numerous trails. And while we don’t recommend attempting these hikes alone, the evening breeze and glitzy views of the Sarajevo valley is well worth it if you’re up for the adventure. Come along with us and explore this great area so close to city hustle & bustle and yet so far away from daily life in Sarajevo. We leave the city in the late afternoon so we can admire the sunset above surrounding mountains, before enjoying the evening lights. We take the back road to Jahorina via Vraca to Brus, where after 20min drive we park our vehicle and start our 500 meters ascent to the peak of Trebević (1,629 meters). Our walk takes us along a long and winding mountain trail. 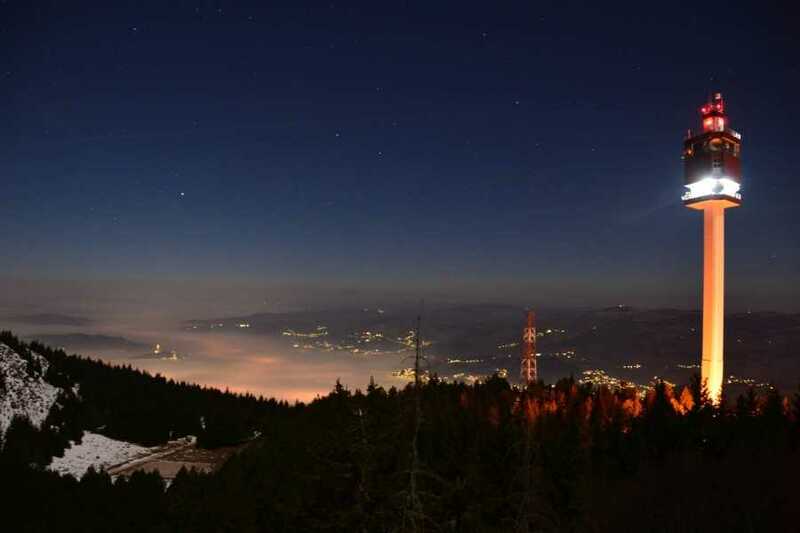 Although we will be hiking most of the way through pine and spruce covered forests, enjoying the complete silence, you will be treated occasionally to beautiful views of Sarajevo lights and stars above us. We arrive at the top where you will stand and see Sarajevo, as you had no chance before. Having been soaked in the sights we descend via an alternative, but somewhat shorter trail. We can end the evening with a celebration drink at one of the local mountain huts nearby. What is included: Transport from Sarajevo to location and back, coffee or tea, snacks, flashlight, one English speaking, fully- equipped and experienced mountain guide. What to bring: Hiking boots or sturdy walking shoes are recommended, a daypack, 1 liter of water, fleece, and camera.